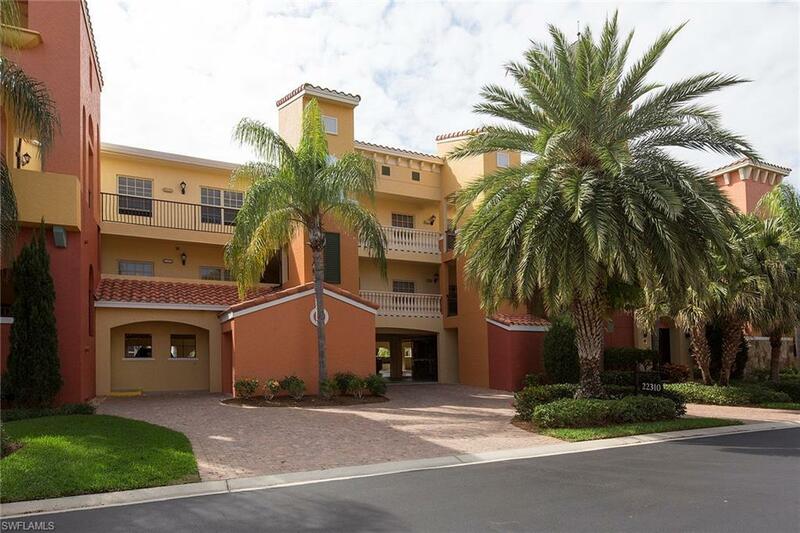 Enjoy your time in this Turnkey 2nd floor unit with 2 bedrooms, open den, and 2 bathrooms. Features include tile on diagonal in all living areas, pendant lights over breakfast bar, designer ceiling fans with lights in master bedroom and guest room, white raised panel cabinetry, above cabinet lighting in the kitchen, and impeccably maintained. 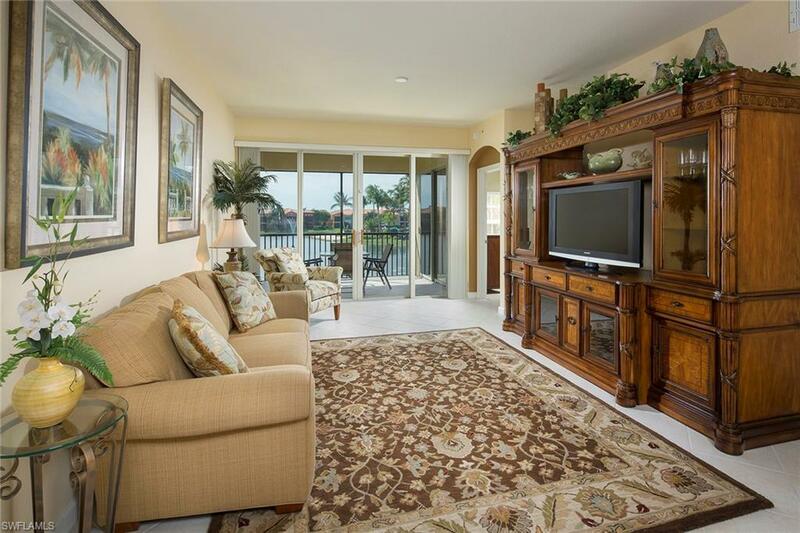 Enjoy sunset views from your southwest facing lanai over lake and water features. This unit is neutral and easy to make your own. 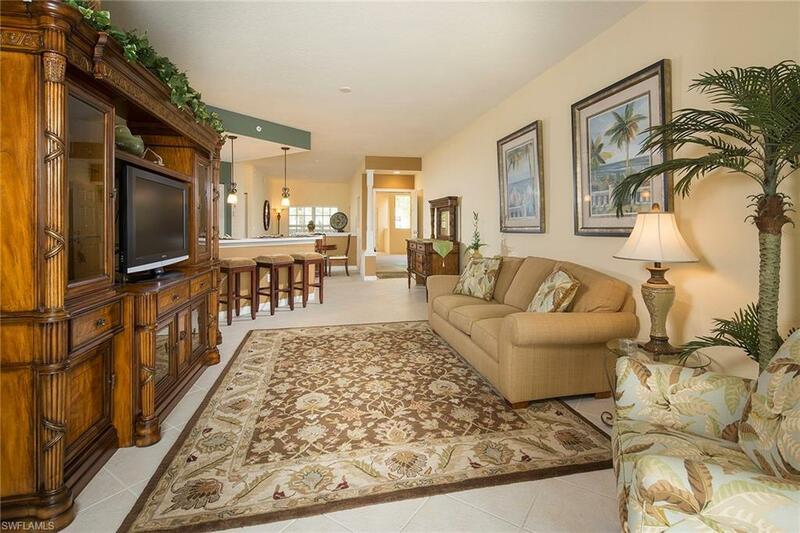 Rapallo is a gated, resort style community that offers first class amenities. Residents have access to a luxurious clubhouse, an arts and learning studio, a lap pool and lagoon style pool, a health spa, 5 Har-Tru tennis courts, health and fitness center and a yoga studio. Its easy to get fit and healthy with two miles of walking and biking trails, nature boardwalk and stocked fishing lakes. Its a short walk or bike ride to Coconut Point Mall with its great restaurants, upscale shops and a variety of entertainment options. 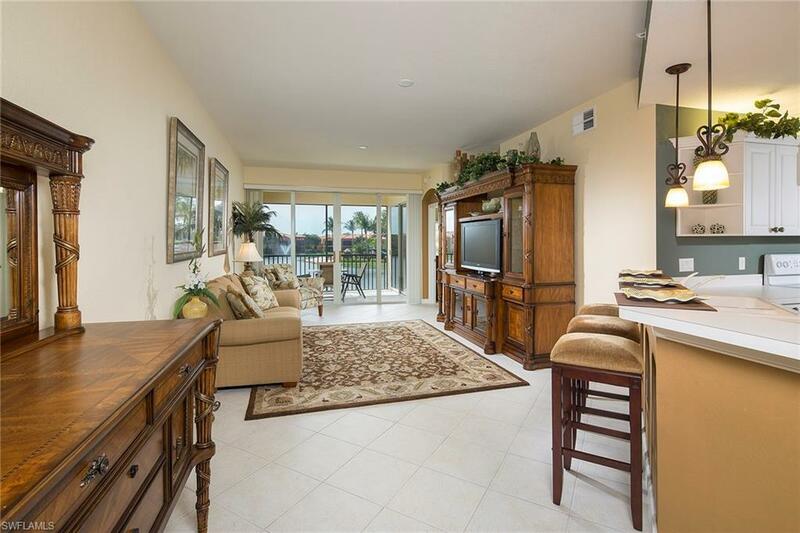 All thisand just a few minutes drive to the pristine Gulf beaches.